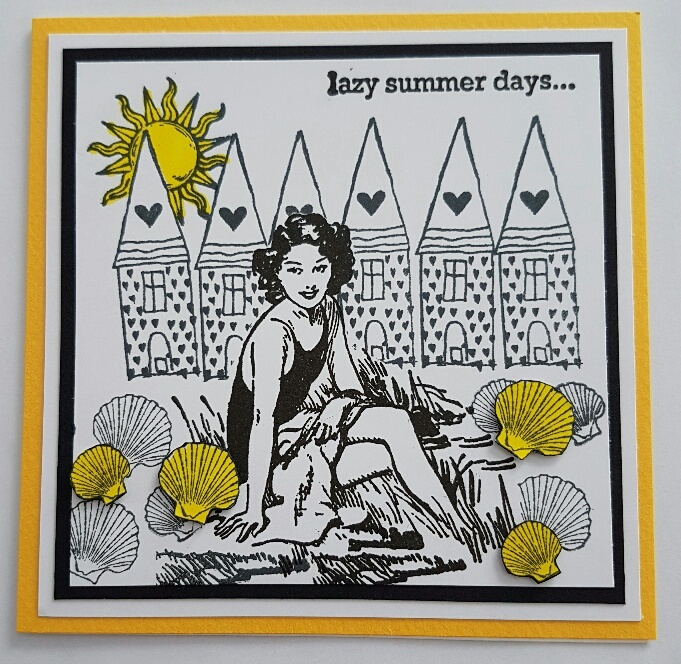 I would like to enter this card into the Rubber Dance challenge of black and white with one colour. This card is called "Lazy Summer Days" using Rubber Dance stamps. Oh yes! I want to go to the beach! Your card is great. Thank you for joining us over at the Rubber Dance challenge. Hugs, Susanne. What a pretty summer scene! I love your bright and sunny card. Thank you for joining the Rubber Dance April Challenge. Thanks for joining us at Rubber Dance challenge!